Living in proximity to Niagara Falls gives me a lot of opportunity to get shots most tourists don't get. Here's a few of my favorites over the past years. Hi Silentknight! Very, very nice! All are super, but the third shot is really captivating to me! It was shot from Minolta tower. Niagara Falls has two towers - the other taller tower is the Skylon. Minolta tower is now nearly surrounded by new highrise hotels. It doesn't stand out nearly as much as it did years ago. 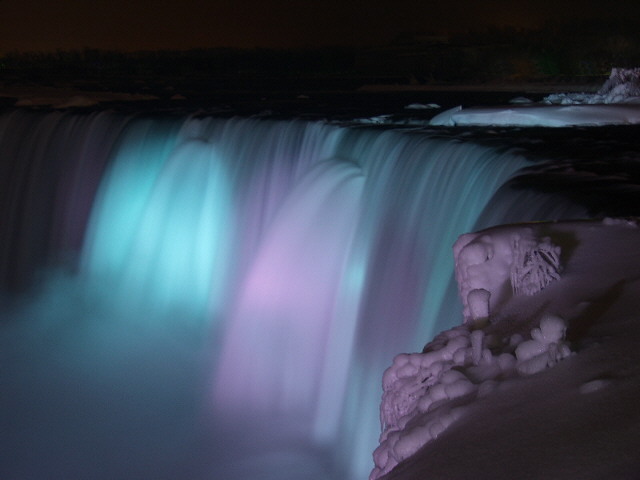 Another of my nightshot favorites of the Falls - under cotton-candy colored lighting in winter.